Under the banner Business France our participation was a success. Join us in the Plaza fresh magazine (specialized fruits and vegetables), following our successful participation in the fair Fruit Logistica! Coopenoix, a cooperative that falls for "Grenoble Walnuts"
Specialist of French walnut since 1929, the cooperative Coopenoix collects its inshell dryed walnuts (including the famous Grenoble walnuts! 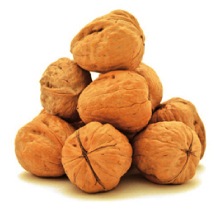 ), fresh and shelled walnut kernels, from 450 walnut growers members who cultivate their orchards in France, in the Rhône-Alpes region, in full compliance with environmental rules and producing 100% origin France walnuts. Thanks to a well-know expertise and a rigorous quality policy, Coopenoix is the number 1 of the French walnuts in Europe, with an annual average production of 7000 tons of walnuts.